Owning stocks is like having children. Don't get involved with more than you can handle. 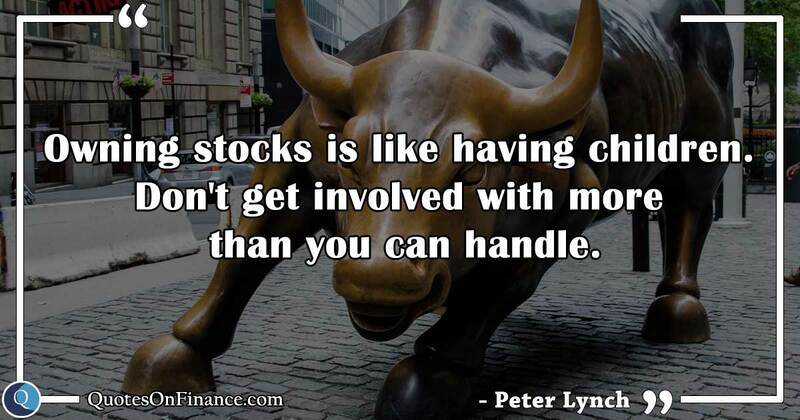 - Peter Lynch - Topics: Stock Market, Investing.